Evo Base has been designed from the base up, to provide the best combination of performance and safety. It contains NO organic solvents, formaldehyde, DBP or Camphor. 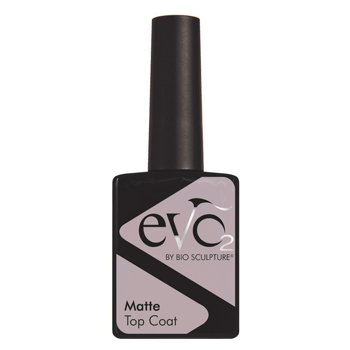 Evo will allow the nail plate to achieve a healthy balance whilst promoting the flexibility, toughness and beautiful shine of a long lasting manicure. Base Gel is a nail treatment that strengthens and conditions the natural nail. It is a flexible gel, used as the universal base layer on a prepared healthy natural nail. Base Gel is self-levelling and odourless. Soft Gel is a flexible gel, can be used as the strengthening/finishing layer on a soft nail (a healthy nail that can bend in both directions without causing trauma/injury to the nail) or a lengthening gel for soft to medium nails. Soft Gel is recommended for Nail Art and is used for Art in Wet Gel, mixing glitters, embedding flat nail art and creating gel art. Soft Gel is self-levelling and odourless. Medium Gel is used as the strengthening/finishing layer for medium nails (most common nail plate type; a healthy, flexible nail, the free edge can bend with pressure) and lengthening gel for medium nails. Medium Gel is self-levelling and odourless. Hard Gel has the strength of acrylic, but the beauty of gel. Hard Gel is used as the strengthening / finishing layer on hard nails (has no flexibility, the free edge cannot bend). It gives a hard final layer with little to no flexibility. 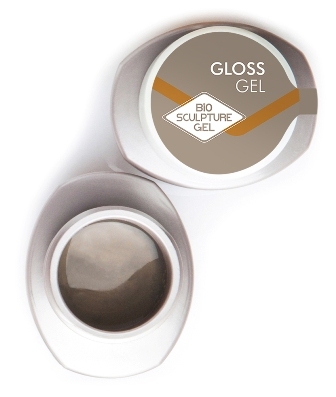 Hard Gel is ideal for those who like the feel of acrylic nails, but prefer the weightlessness of gel. Hard gel is also used as a lengthening gel to create long, strong, crystal extensions on any nail type. Hard Gel is self-levelling and odourless. 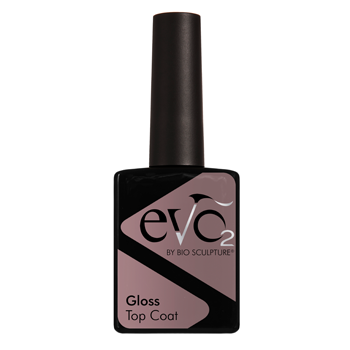 Gloss Gel is used as the final layer on all nail types. It protects and adds a glossy shine to overlays. Gloss Gel is self-levelling and odourless. Free Edge Gel is an extension gel used on all nail types to build a solid free edge with a crisp natural nail colour once cured. 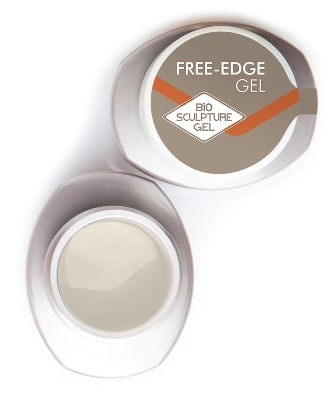 Free Edge Gel is self-levelling and odourless.